Finally got round to fitting these today. Love 'em to bits already, having a nightmare with the bloody TMPS sensors though. But you're modding it right out of Bullitt territory aren't you? I know what you mean. I once posted on the IMBOC forum a similar question. 'When is a Bullitt not a Bullitt anymore' Is once you make any change however small - cause then it's not as old Henry envisage it to be when it left the factory. 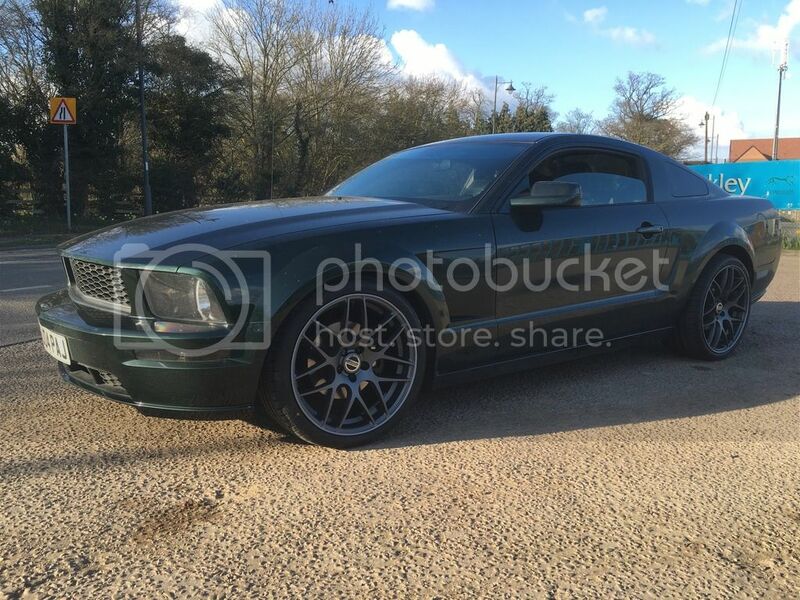 Some of the owners of Bullitts in the US have gone as far as removing the struct brace (which has the Bullitt number on it) and the Bullitt faux gas cap on the boot, changed the interior etc etc. Weird. They were there earlier.... What have you done Pete?